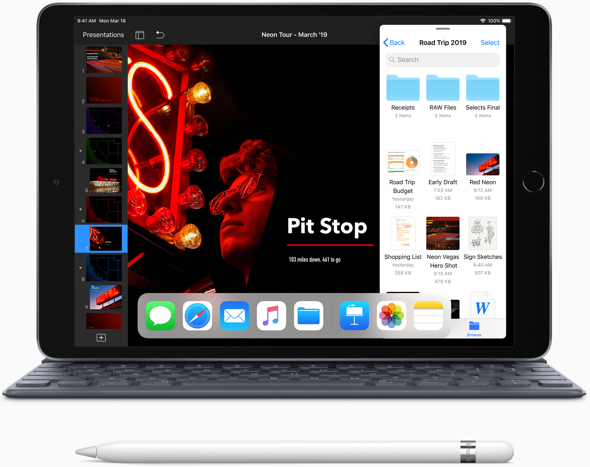 “Apple has launched a new 10.5-inch iPad Air that can be viewed as a lower-priced successor to the second-generation 10.5-inch iPad Pro, which has been discontinued,” Joe Rossignol writes for MacRumors. MacDailyNews Take: The new 10.5-inch iPad Air is a copmpelling upgrade for the many millions of iPad Air and iPad Air 2 owners. Apple’s new lineup could really spur a nice upgrade cycle. We know more iPad Air 2 owners than we can count! This is a worthy successor the the iPad Air 2… which was quite possibly one of the longest lasting iPads out there. It still is no slouch. I’m strongly considering an upgrade. Pity about the ProMotion display, that buttery-smooth display is drool-worthy… but I suppose that’s all about creating a reason to upgrade to the iPad Pro. Unless you want 11 or 12.9 or need Bluetooth 5, I recommend to get an Pro 10.5″ while they are on sale. They are $499 right now if you shop around (hint: major electronics re-seller). The difference between A10X and A12X is not noticeable in standard everyday use, let alone the regular A12. If you need it for certain CPU intensive tasks the A12 is faster. A10X is faster for Metal rendering than A12. A big bonus is the Pro has 4GB RAM. I think RAM is important for heavy web browsing and other tasks. For me the 4 speaker audio is a big deal. If I wasn’t about to get either Pro 11 or 12.9 (I still can’t decide – HELP!) I would have purchased the Pro 10.5 for 499 on my last visit to US without question. It was on-sale then too. The A10X is still a beast of a CPU and I think the 10.5 Pro will be supported for several years and iOS updates. My 2013 Air still is. Also consider the iPad 2018 has an A10… therefore A10 series still has lots of support lifetime left if that is anyone’s concern. Plus the old 10.5 inch iPad Pro has an analogue line out / headphone jack so that you can use it in pro applications. The word Pro should never have been applied to any ios device. MDN, its more like an expensive successor. The iPad 9.7 is far superior to Air and Air 2 and 1/2 the price of the new Air when its on sale for $249. THAT is a worthy successor. If a $329 superior device didn’t spur an upgrade cycle (or maybe it did) then why would something almost $200 more ?